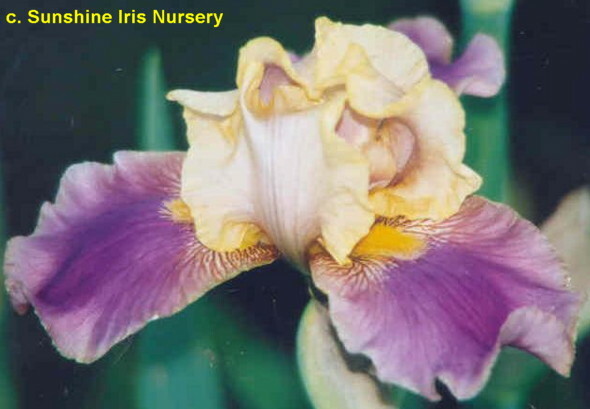 'Child Star' ( Joseph Ghio, R. 1974) Seedling #70-23K. BB, 22" (56 cm), Early, midseason and late bloom. Standards gold; falls rosy orchid; gold beard; ruffled. 'Clairvoyance' sibling X 'Passport'. Bay View 1975. Honorable Mention 1976; Award of Merit 1979.